We are supplier of Spring LED Panel & Rimless Lights.We supply best quality Spring for the same in Ahmedabad. The LED Driver provided by us is easily available to clients at highly reasonable prices in multiple specifications of size and shape. This driver is available to clients in multiple specifications. SMD LED 0.5watt in 3528 package. Driving current 150mA. 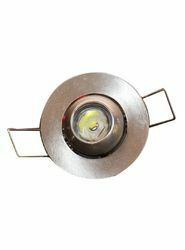 You can use this for down lighters, bulbs, street lights etc., high brightness for low power consumption. 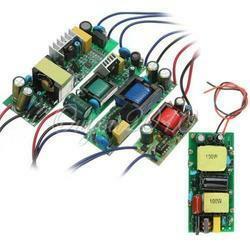 Customers have favored our firm for offering 3 Watt LED PCB in several provisions. With years of experience, we are engaged in offering a large gamut of LED Drivers. Technologically advanced and highly reliable these drivers are used in various places. We have made the perfect usage of world-class raw materials in manufacturing these drivers to ensure that they are free from any defect and reliable in nature.